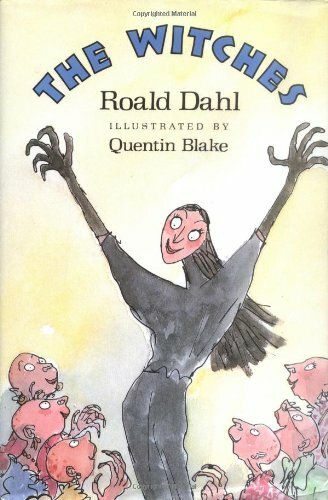 The Witches by Roald Dahl is a fast-paced novel kids will devour eagerly and clamor for more. A seven-year old boy and his Norwegian Grandmother (known as Grandmamma in the novel) travel to the English coast for a get away. Unbeknownst to both of them, they are staying at the same hotel as the annual convention of witches for all of England. Wanting to play with his pet mice, the boy (unnamed in the novel) hides in the hotel convention hall. In strolls the witches for their meetings and he overhears the witches’ plot to kill all of the children in England by turning them into mice and having them killed by humans. He, however, is sniffed out (literally) by the witches and turned himself into a mouse. Returning to his grandmamma, he hatches a plot to take down the witches by giving them a douse of their own medicine. 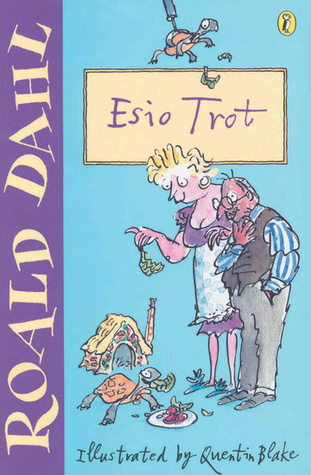 A master of fast-paced writing for children, Dahl writes a tale full of adventure and fun. Guaranteed to entertain and make you laugh. Classic kids literature at its best! I led a deprived childhood. Luckily, I get another chance with my children. I just finished reading the delightful tale of Charlie and the Chocolate Factory out loud to my kids. In case you didn’t know, this is the tale of Charlie Bucket, a boy who is exceedingly poor, lives in a shack with his mother, father, and both sets of grandparents right next to a chocolate factory, owned by Willy Wonka. The factory has been closed to outsiders since Mr. Wonka discovered some were sneaking his secrets out. One day, Mr. Wonka announces a contest for 5 children to tour his factory and learn his secrets. These kids will be chosen by finding a Golden Ticket, which is the inside wrapping of his candy bars. Naturally, this sparks an all-out buying frenzy, where every child wants to find these. I loved the poem the Oompa-Loompas (the workers in the factory) sing about the evils of TV, how it “rots the senses in the head and kills imagination dead!” and how one should read books instead. Ingenious! This book had my kids laughing and begging to continue. They loved the other kids falling to their doom and Charlie winning out in the end–simply by being good. I loved the Grandparents who commented on every single kid who won the tickets based on the newspaper reports. Grandma Josephine says one “needs a real good spanking” and calls another “beastly”. The funny part is that this is the truth about these kids behavior and it is so refreshing to read before the advent of political correctness. It’s easy to see why Charlie and the Chocolate Factory by Roald Dahl is an enduring classic that every child must read. And finally I get to read it too!